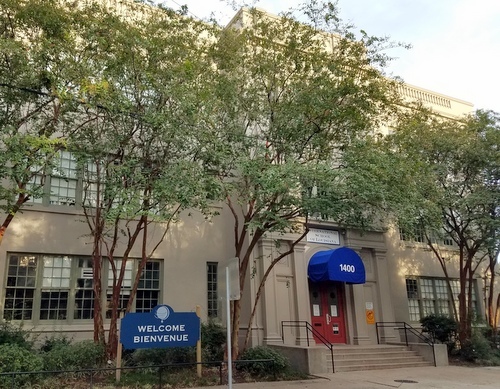 The International School of Louisiana has resumed classes for the 2018-19 school year with 1,410 students across its three campuses, school officials said Wednesday. The flagship campus on Camp Street has nearly half of those students, who are enrolled in grades 3 through 8. The remainder are split about evenly between the K-2 grades at the Bethune campus in Dixon, and the grades 1-5 on Olivier Street on the Westbank. After a series of moves and reorganziations through Jefferson Parish and Mid-City in recent years, this school year marks the second in a row in the current configuration of three campuses. Enrollment remains about the same at each, with slightly fewer at Bethune now that the larger second grade class from Jefferson Parish students has been absorbed, said Head of Schools Melanie Tennyson. While School Performance Scores have yet to be announced by the state Department of Education, Tennyson said ISL administrators are pleased with the early test data they have seen. ISL will be the sixth-highest scoring elementary school in the city, competing with several schools that have selective admissions, she said. This is also ISL’s first year offering full bus service to all its students, but Tennyson said the first week of buses proceeded largely without incident.